Dangerous flaws have been discovered in the Avast SafeZone browser. The vulnerabilities allow attackers to retrieve information from the browser like it’s web history and passwords, but could also allow full read access to the entire file system. Avast has released a patch for the flaws and is recommending that all subscription based users update their program. 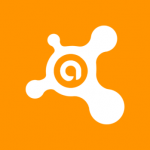 We have already made sure all our customers using Avast have the latest update but if you’re unsure please get in touch.